A teen who was charged earlier with inciting a riot at Hamilton Place Mall is in trouble again in a Saturday night police chase in which a patrol car was rammed. 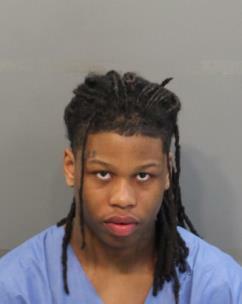 David Lebron Ballard was charged with evading arrest, possessing a firearm with intent to go armed. Tavarious Dequan Johnson, 18, was charged with two counts of aggravated assault on police, evading arrest, driving on roadways laned for traffic, driving without a driver's license, and tinted windows violation. Coleman, 18, was charged with failure to appear. In the incident on Saturday night around 7 p.m., gang investigators with the Chattanooga Police Department saw Johnson get into a gray Nissan Sentra. Police said Johnson had active warrants for aggravated assault on police charge and does not have a driver's license. When officers tried to stop the vehicle, it took off. The vehicle went off the road several times - at one point hitting a curb and causing a flat tire. Police said Johnson rammed a police car as officers tried to stop him when he was driving the wrong way down a road. The police car was knocked into a parked vehicle. After the vehicle stopped, Ballard, Coleman and Johnson jumped out and started running. Coleman was seen tossing a gun as he ran. The gun was later recovered. Police were able to locate all three, including Ballard, who was hiding in the Forest Hills Cemetery in St. Elmo. Ballard was wearing a GPS ankle monitor that was a condition of his probation. His probation papers were found in the vehicle. Ballard was wearing a GPS ankle monitor as a condition of his release from prison. Officers spoke with his probation officer, who confirmed he was in the same area at the time of the chase. Also in the vehicle, police found a fully loaded extended 45-caliber magazine on the floor of the front seat. They also found several 9-millimeter bullets inside the car. Police said Ballard recently posted on Facebook several pictures showing him holding various guns. 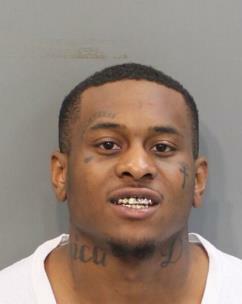 Ballard, a convicted felon, admitted to selling a Glock to another individual for $450, it was stated. The affidavit of his arrest says, "David Ballard has proven since he was released from prison that he is consistently armed and chooses to carry firearms despite being a convicted felon and prohibited from doing so." Ballard earlier was given two years probation after pleading guilty to the mall incident in which he pulled a gun, sending shoppers into panic mode in February. One woman was trampled during the incident. Ballard has been banned from Hamilton Place Mall. Later, Ballard drew new charges after new run-ins with police.